MP Anne Stanley on the banks of the Georges River. The Georges River could be part of a $200 million proposal to tackle pollution in urban rivers. 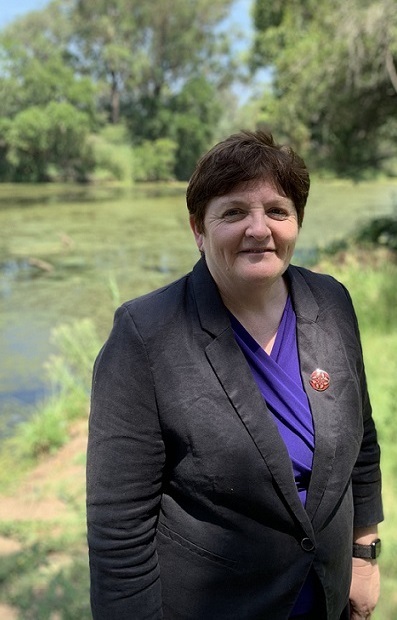 Anne Stanley, the federal Member for Werriwa, welcomed the announcement and pledged to try to have the Georges River included in the national project. Federal Labor has promised to invest up to $200 million on urban rivers if it is elected. “The Georges River has always been an important part of Werriwa,’’ Ms Stanley said. “It was important to the local Cabrogal people for thousands of years and as part of industry and recreation in more recent times. “Unfortunately for too long our local creeks and waterways have been used as drains and dumping grounds for industrial waste, rubbish, and trolleys. “For too long the Georges River has been suffocated by algae blooms brought on by external pollutants. Labor says a Shorten Government will engage state and local governments, local councils, community groups and local environmental organisations to bring urban waterways and habitat corridors back to health.